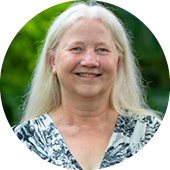 Ami has been honored to serve as executive director of the Quad City Botanical Center since 2007. She started at the Botanical Center in 1998 as rental facility manager. She is a Moline native and graduate of Illinois State University with a degree in English Literature. 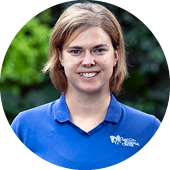 Ami has a love of gardening and a passion for promoting interaction with the natural world, so she greatly enjoys serving the Quad Cities by bringing people and plants together in fun and meaningful ways. Dave has been the head gardener for the Botanical Center since 2000. Growing up on a farm in rural Port Byron, Illinois, he developed an early interest in nature and plants. Working at the Center has given him the opportunity to share his interests and knowledge with others. 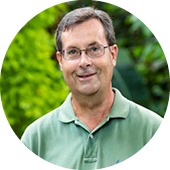 Dave enjoys traveling and is a long-standing member of the Moline Horticultural Society. Greg joined the Botanical Center as education director in 2016. He brings over 15 years of environmental education experience to the gardens. As a Davenport native, he grew up playing in and interacting with nature. Greg has a bachelor’s in biology/wildlife management from University of Wisconsin - Stevens Point and earned a master’s in education from Northern Illinois University. 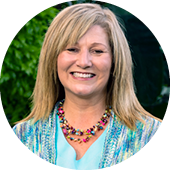 Kari uses her highly refined customer service skills and positive attitude to assist with rentals, memberships and events. Kari has been a hands-on participant in events at the Center since starting here in 2002. When not at the Center, she can be found spending time with her grandchildren, baking or shopping. Marilyn joined the Botanical Center in 2013. She retired from Deere & Company after 33 years and wanted to continue to be around people. Her role as the membership and memorial representative is a perfect fit as it allows her to engage with members and guests. Kate is an assistant gardener and office project coordinator. She enjoys overseeing the Children’s Garden river maintenance and watching children and families enjoying the water. Kate grew up on a dairy farm in Port Byron, Illinois, where the outdoor world inspired her to pursue a career in plants. Kate earned her Bachelor of Science degree in ornamental horticulture at the University of Wisconsin - Platteville. She has been with the Center since 2007. Sarah joined the Botanical Center in 2016. She studied accounting at Saint Mary's College, and continued her education while studying political science at the University of Notre Dame. She was born and raised in the Quad Cities, and after a brief stint working in California, she made her way back home to start a family. Sarah continues gaining knowledge of plants and gardening at the Botanical Center and applies those experiences to her home garden.